Why Voice before Facts? 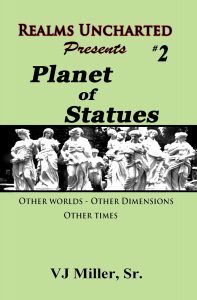 As I zero in on the final chapters of my next book, Planet of Statues, I stand at 40k words; where it will top out is beyond me right now. Planet of Statues is the second book in the series, Realms Uncharted Presents. I’d planned on a one story per issue format of 18 to 20k words; something easy to read in one sitting. As has happened in the past, one of my stories has taken on a life of its own. One short story, Beware the Pedaler, was planned to be only 8 to 10k but finally topped out at 18k. My novel, Mask of the Crime Czar I expected to be around 60k actually ended up with 85k.